The Collectors on Audible: http://www.audible.com/pd/Fiction/The-Collectors-Audiobook/B00QU77W1W?source_code=AUDORWS0107159C7D Get this audiobook for free when you try Audible: http://www.audible.com/offers/30free?asin=B00QU77W1W&source_code=AUDORWS0107159C7D Summary: "But the thing is," said Horley, "they didn’t know each other at all. Never heard of each other. It wasn’t about the makers. Only about the works." On a dark winter's night in 1970, Horley and Grinstead huddle for warmth in the Senior Common Room of a college in Oxford. Conversation turns to the two impressive works of art that Horley has recently added to his collection. What the two men don't know is that these pieces are connected in mysterious and improbable ways; and they are about to be caught in the cross-fire of a story which has travelled time and worlds. Philip Pullman is one of the most well-loved and admired British authors of the last few decades. He has written numerous novels for both adults and children, most notably the award-winning His Dark Materials trilogy. The Collectors, written exclusively for Audible, serves as a great introduction to this series, while revealing a little something extra to fans of Lyra and her world. 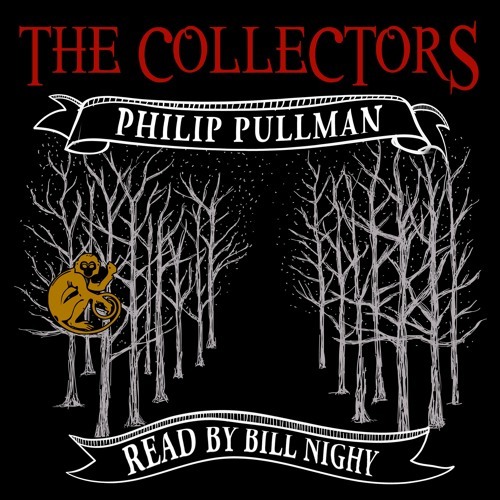 The Collectors is narrated by Bill Nighy, the Golden Globe and BAFTA award-winning actor whose work on stage, screen, and radio has included Love Actually, the Pirates of the Caribbean series and a multitude of TV, stage, and radio appearances.